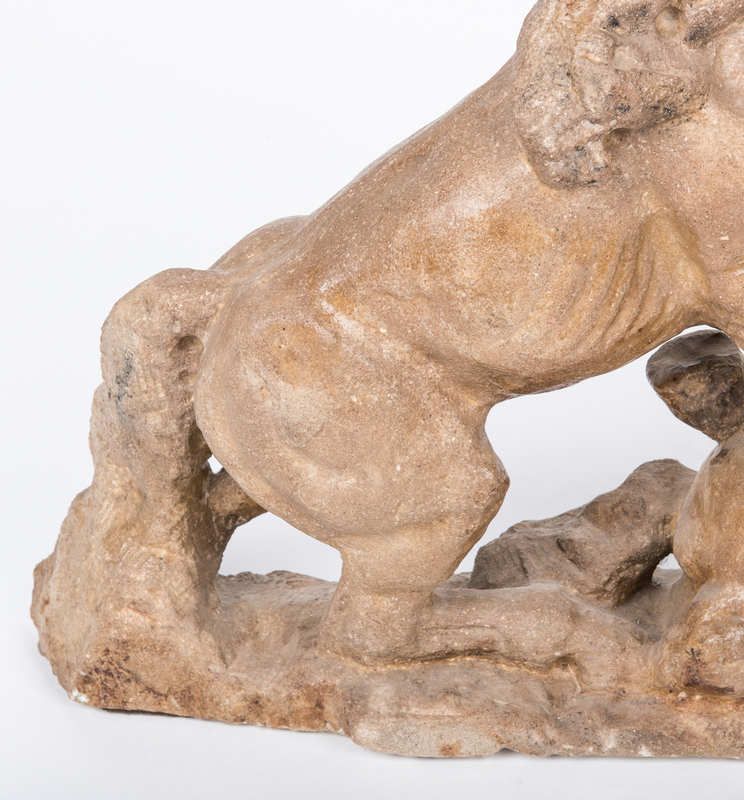 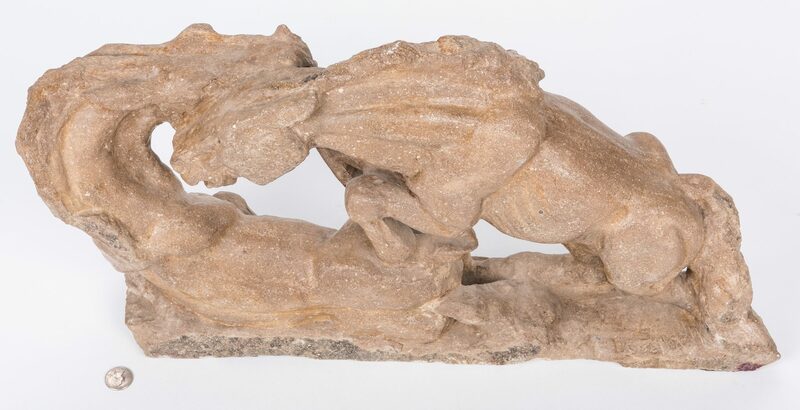 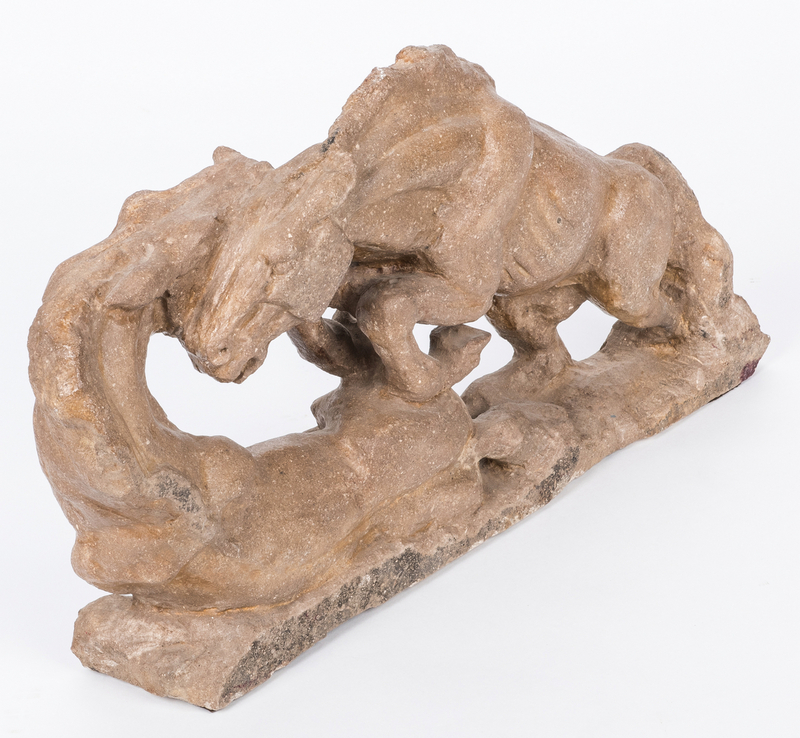 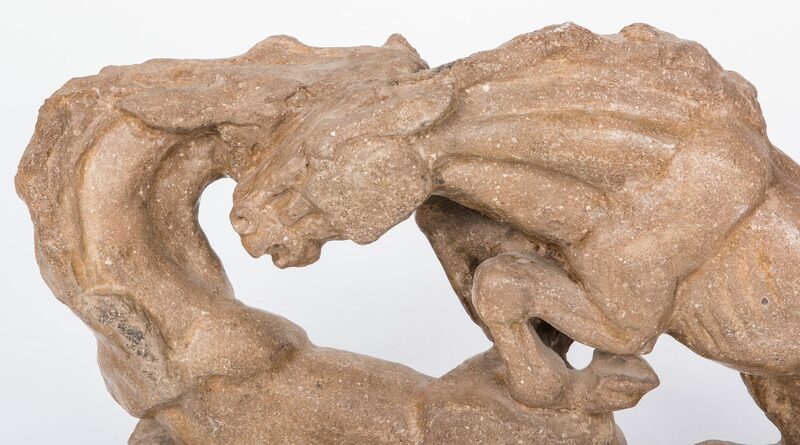 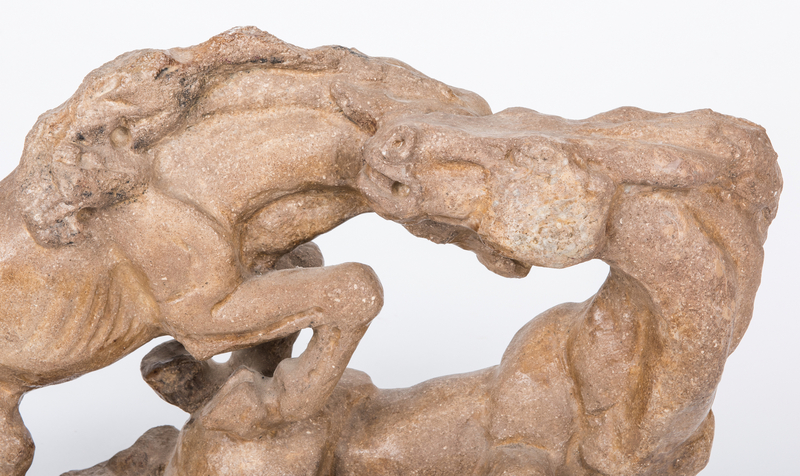 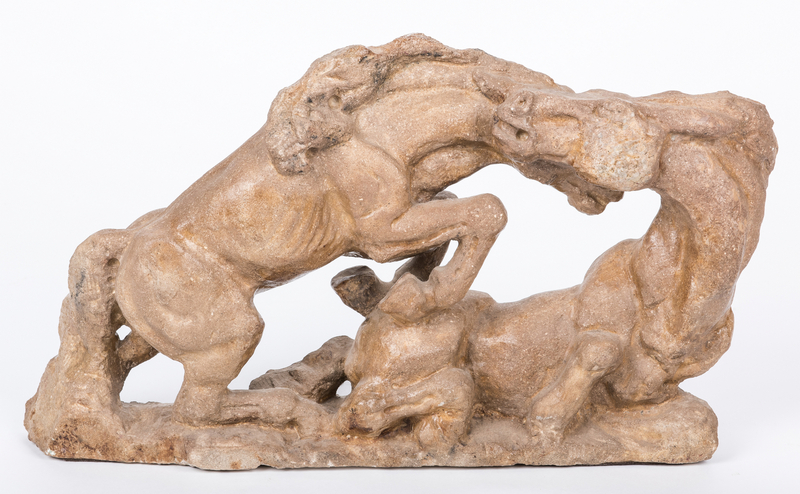 Lot 712: Horse sculpture- "Only The Strong Survive"
You are here: Home >> July 14, 2018 Historic Summer Fine Art and Antiques Auction >> Lot 712: Horse sculpture- "Only The Strong Survive"
Carved stone sculpture titled "Only The Strong Survive" depicting two fighting male stallions. 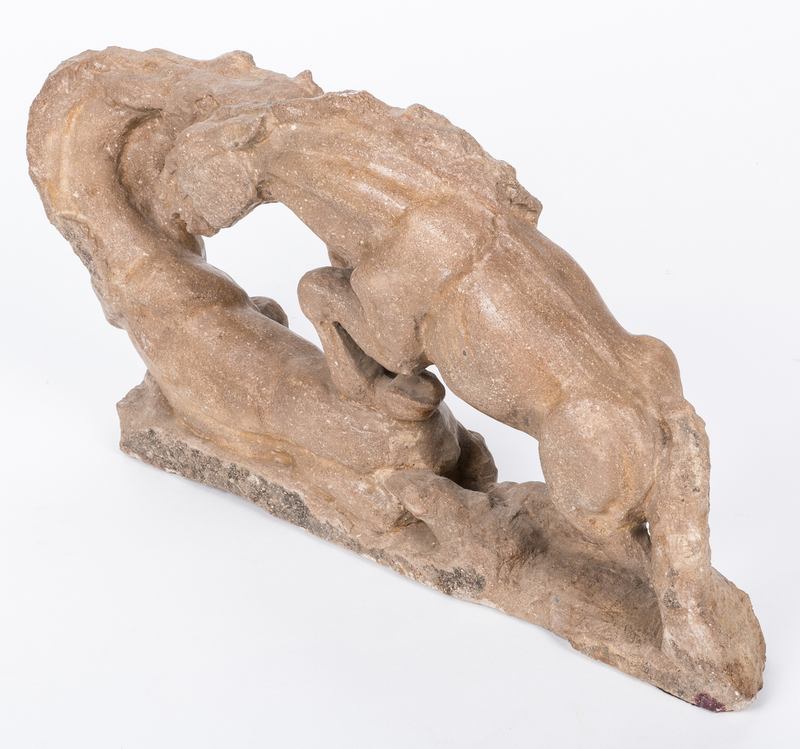 Signed on the base "Singa" or Singu" and dated 1982. 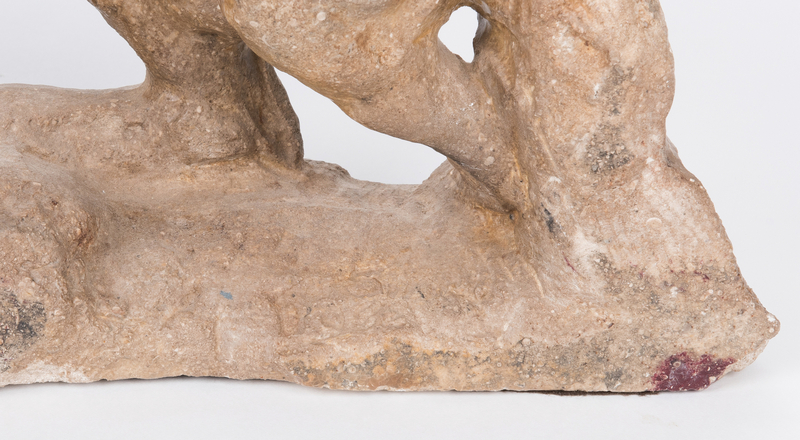 13 1/4" H x 22 1/2" W x 4 1/2" D. 46 lbs. 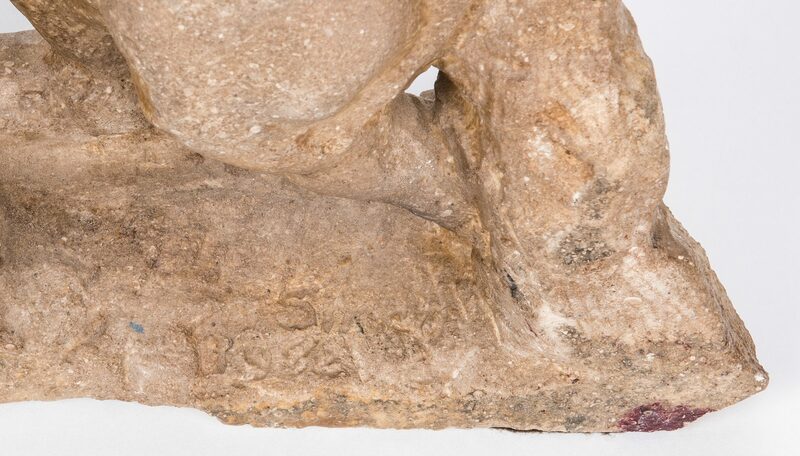 Provenance: The estate of Ann Cook Calhoun, Nashville, Tennessee. 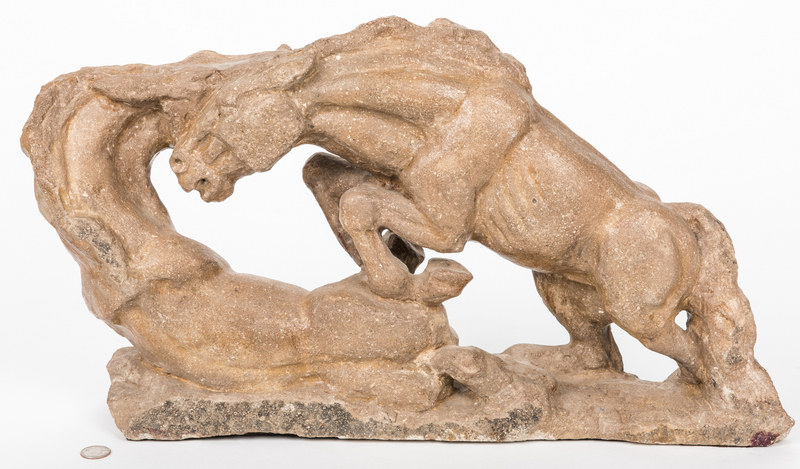 CONDITION: Minor abrasions to the head, otherwise overall good condition.